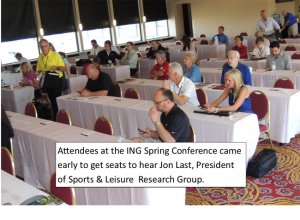 Coverage of SLRG President, Jon Last’s keynote presentation at The International Network of Golf conference. Stressing how company’s treat customers as the key, Last reviewed ways to make the experience of being a customer more enjoyable and providing perceived value. 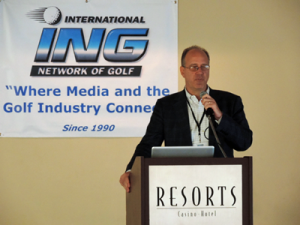 As an example he identified programs some private clubs are using to give members added value by creating strong emotional ties.